*There are no holes or rips on the shoes. *The soles have dirt from use. *There is still plenty of use left on the heel. At the crossroads of summer's carefree vibe and autumn's structured style you'll find the Splendid Women's Dasha Shoe. Part sandal and part bootie, this shoe features a chic cut-out detail at the back with an adjustable ankle strap. 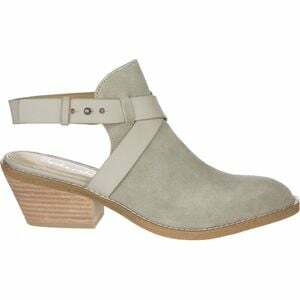 The suede construction and stacked heel offers a classic look that pairs well with your favorite summer dress and chunky cardigan.